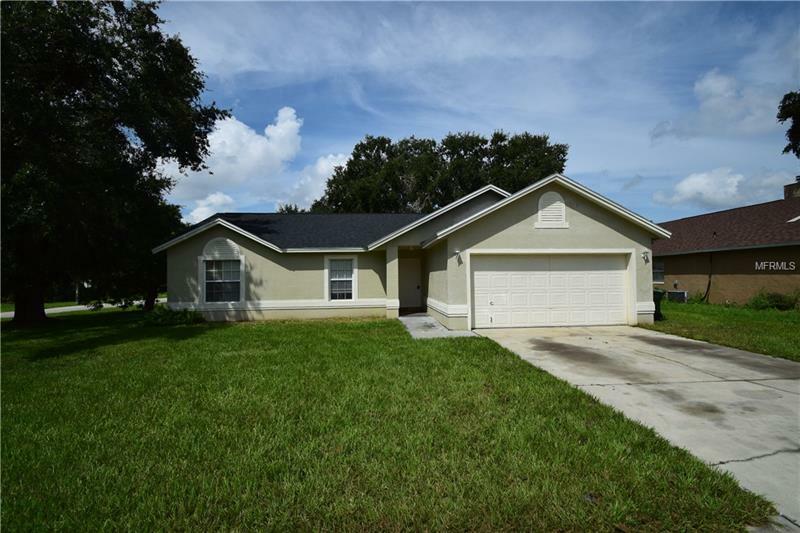 Very Charming and well cared for 3 bedroom, 2 bathroom, 2 car garage home located in an established Winter Haven neighborhood within a few minutes from the intersection of Hwy 17 and Havendale Blvd where lots of shoppes, stores and restaurants can be found. Streets in this neighborhood are lined with mature trees and the property sits on a large corner lot and has mature landscaping. Your new home has a large neighborhood with approximately 22' by 16' plus a separate dining room with large bay windows that let in lots of natural light. The master bedroom is also very spacious at 14' x 12.' There are laundry hookups in the garage and a set of sliding doors in the living room open up to the back patio. This home is in move-in ready condition and just waiting for you and your family to move-in! A NEW ROOF was just installed in 2018. Please call today to request a private viewing before it is gone!